The nationwide Effective Gross Yield (EGY) for U.S. single-family rentals held steady at 8.0 percent, sustaining a strong yield in spite of the continued rise in housing prices. from 8.3 percent to as high as 12.7 percent. In the West and New England, no state surpasses 7.0 percent. 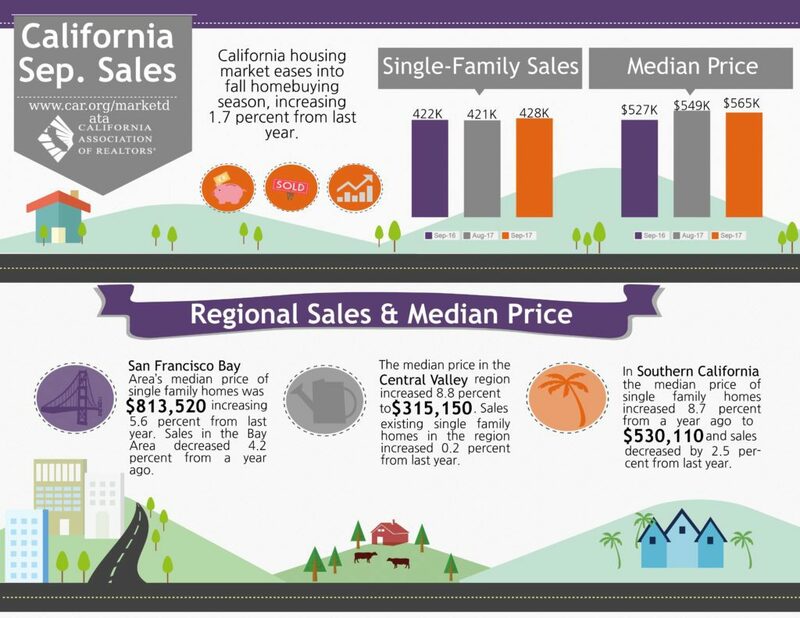 California, which has the lowest statewide EGY in the country at 5.1 percent, also contains the four lowest yielding MSAs, each with EGYs between 3.5 percent and 4.8 percent. While no state reached Mississippi’s nation-leading 12.9-percent EGY from last quarter, two new states eclipsed the 12.0-percent mark: Alabama and West Virginia joined Indiana, Mississippi, and Ohio, each of which held steady above 12.0 percent from last quarter. “HouseCanary’s latest HCRI Index results show that the recalibration of home prices to historic norms is continuing to put overall downward pressure on effective gross yields for the single family rental sector,” noted Alex Villacorta, PhD., HouseCanary’s Executive Vice President of Analytics. “In particular, the accelerated growth in the Western and Northeast regions over the past few years has seen the strongest effect of compressing yields as the cost to acquire continues to increase. 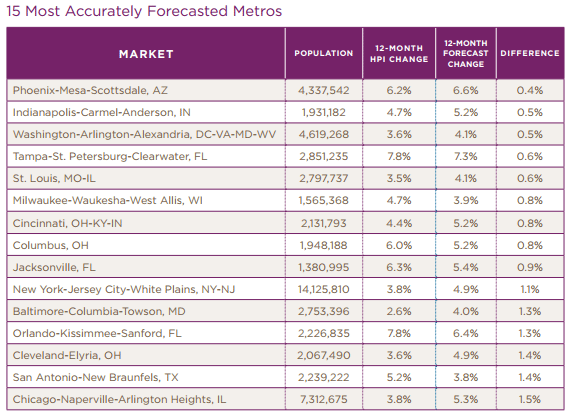 Each month, CoreLogic publishes the CoreLogic HPI Price Forecasts (HPIF). The HPIF contains the predicted monthly HPI values for the ensuing 30 years. For example, the June 2016 HPIF contains a predicted HPI value for June 2016, July 2016 to April 2046. HPIF Version 4.4 was first calculated in April 2016 and first published in June 2016. Each month, CoreLogic stores the HPIF for future back testing purposes. Existing, single-family home sales totaled 436,920 in September on a seasonally adjusted annualized rate, up 2.2 percent from August and 1.7 percent from September 2016. September’s statewide median home price was $555,410, down 1.8 percent from August and up 7.5 percent from September 2016. Statewide active listings continued to decline in September, dropping 11.2 percent from a year ago. The 30-year fixed mortgage rate on Zillow Mortgages is currently 3.72 percent, unchanged from this time last week. 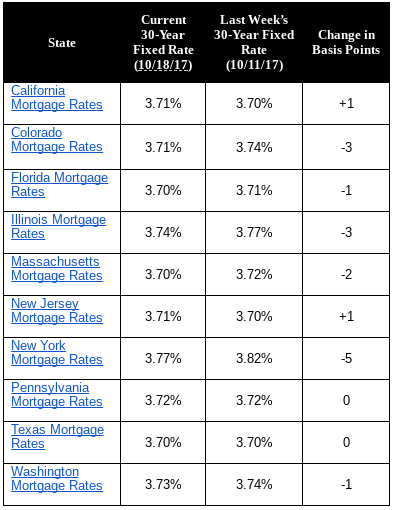 The 30-year fixed mortgage rate fell late last week to about 3.66 percent, then hovered around 3.69 percent before returning to the current rate on Wednesday. The rate for a 15-year fixed home loan is currently 3.03 percent, and the rate for a 5-1 adjustable-rate mortgage (ARM) is 3.11 percent. The rate for a jumbo 30-year fixed loan is 3.90 percent.